Let me start out by saying Infinity Ward, Activision and Tesco have stated no official announcement on the matter, therefore reads should speculate when reading. An Activision representative gave a “no comment” when contacted about the leak. Although Tesco are a major retailing industry, you must not always trust what you see. From the box art, we can clearly see a close-up shot of a soldier who’s wearing various items of combat gear. These include: a combat snood, hat and gloves. The soldiers snood, which he appears to be pulling down, looks identical to Simon ‘Ghost’ Riley’s snood from Call of Duty: Modern Warfare 2. We can also see that the solider is placed against a smoke effect background. This is an effect that has been used over the past 7 Call of Duty box arts. Finally, we have the Infinity Ward logo present at the bottom. This came to a bit of surprise, but means that the developers are back for this installment. I suppose it’s fitting to talk about the generation of console that the title is set to be released on. Before the Tesco leak, it was thought that Call of Duty: Ghosts was only to be released on PC. However, the box art now hints that the title will be coming also be coming to the Xbox 360 and PlayStation 3 – current generations. Although no official word has been given, it's likely that with the release of the new generations will come a new copy of the game. Finally, we have the release date. The Tesco Direct listing gives us a release date of 30/12/2013. However, this seems rather unfitting with the past Call of Duty releases. Normally, Call of Duty games are released November time, perfect for the Christmas sales traffic. So it would seem rather strange if the developers suddenly decided to ignore tradition, potentially meaning a huge loss in sales. On a further note, Tesco often use the date 30/12/2013 for something they know will be released this year. Therefore, I would recommend that fans continue to look forward to a November release, rather than a December. Something along the lines of 11/12/2013. On a quick side note, Drift0r states that an official announcement should be expected around May 1, 2013. In conclusion, the evidence presented towards us is pretty conclusive. 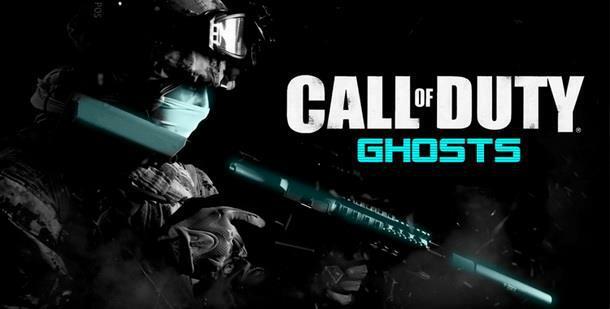 The next Call of Duty title is likely to be named ‘Ghosts’, and will most likely feature the ‘Ghost’ we know from Call of Duty: Modern Warfare 2. What are your thoughts on the Tesco leak? Does it seem legitimate and do you like the idea of a game being based on ‘Ghost’? Let us know below.